Did you know that travelers exercise more and engage in more activities even when they are not traveling than nontravelers? Recent research suggests that nontravelers live more sedentary lifestyles than travelers even when they are “at home”. Let’s take a closer look at a research article in the Journal of Travel Research. The researchers compared activities of a random sample of 60,000 Americans who completed a mailed survey. Of these, 79% were classified as travelers (reported having traveled for pleasure or vacation in past 2 years) and 21% were classified as nontravelers (reported not having vacationed in the past 2 years). They were all asked how frequently they had engaged in 44 different activities while “at home” in the past year. These activities included a range of activities, including fishing, exercising, dancing, attending sporting events, jogging, going to rock concerts, picnicking, and gardening. Interestingly, travelers reported engaging in all 44 activities significantly more than nontravelers. The researchers controlled for variables like cost of the activities and physical intensity, but the differences still remained between travelers and nontravelers. Those who are nontravelers are much less active in their daily lives—getting less exercise and doing fewer recreational and cultural activities—than travelers. Nontravelers appear to live a much more sedentary lifestyle compared to those who travel. 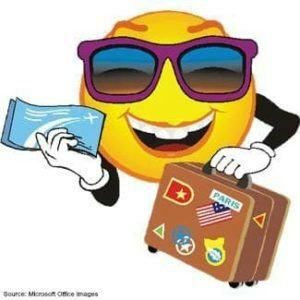 Researchers suggest that nontravelers may simply be less motivated compared to travelers. So what do you think–what might account for these differences? Is it that nontravelers are simply less motivated to engage in all activities compared to nontravelers as the authors suggest, or is it something else? Do these results ring true to you when you think about the travelers and nontravelers on your own life? Stay healthy and keep traveling! Travel Research: How Much Travel Stress Do People Experience on Vacation? Psychology of Travel: What’s Up with the Travel Research Posts? Travel Research: How do Locals Feel about the Practice of Slum Tourism? Travel Research: Are Travel Guidebooks Still Useful in the Digital Age? This article is interesting. The topic is one I’d never really thought of before, but now that I think about it, I can certainly see its truth in my day-to-day life. All of my friends that are avid travelers are always doing a thousand things while those that aren’t, tend to laze a bit more. I’d never really thought about the correlation to travel before, though, so I thought that was interesting. Thanks Darcy for your comment! Yeah, I think it may be those who are interested in traveling are just more interested in engaging in more activities. Perhaps they have more of a need to be doing things and having new experiences compared to those who travel much less. Hi Jess & Ethan – Great website and congrats for putting all this together in such a short time period. I know it will only continue to grow. I just wanted to ask what is up with the travel research articles and where do you find this info? Will these become regular features, this article is very interesting about how sedentary non-travelers may be. Thanks again for the comments, we really appreciate any and all feedback from our readers. We are glad you found this article interesting, I am not sure if most people will find articles about travel research boring or interesting:) I am actually a psychologist and researcher by day so I have access to tons of academic research articles and my goal is to post articles into the “Psychology of Travel” section at least once a month on summarizing recent research in this area. Depending on how interesting they are to readers, I plan to keep posting them on a regular basis.